So Mr. Politician, Where Did My Money Go? The new social insurance program the Committee on Economic Security (CES) was designing in 1934 was different than welfare in that it was a contributory program in which workers and their employers paid for the cost of the benefits–with the government’s role being that of the fund’s administrator, rather than its payer. This program was originally set up top provide an income for the elderly. The report was transmitted to the Congress on the 17th of January, 1935 as the President had promised, with new actuaries which projected a 47 billion dollar surplus by 1980. So then where is that surplus today? Why do we always hear about so and so wanting to take away Social Security? Immediately following World War II Congress passed a brief change to Social Security which provided some small general revenues to pay benefits to WWII veterans who had become disabled in the years immediately following the War and who did not qualify for a veterans benefit. From 1947-1951 a total of $16 million was transferred into the Trust Funds for this purpose. In 1965-66 Congress also identified another “disadvantaged” group: elderly individuals (age 72 before 1971) who had not been able to work long enough under Social Security to become insured for a benefit. People in this group were granted special Social Security benefits paid for entirely by the general revenues of the Treasury. We can now see, to truly take care of the elderly and Vets are good reasons to spend extra from the Social Security Administration. The first Social Security number was issued in late 1936. In June 1936, the Social Security Board decided that its Bureau of Old-Age Benefits would handle the registration and that the registration process would begin after the November 3, 1936, presidential election. 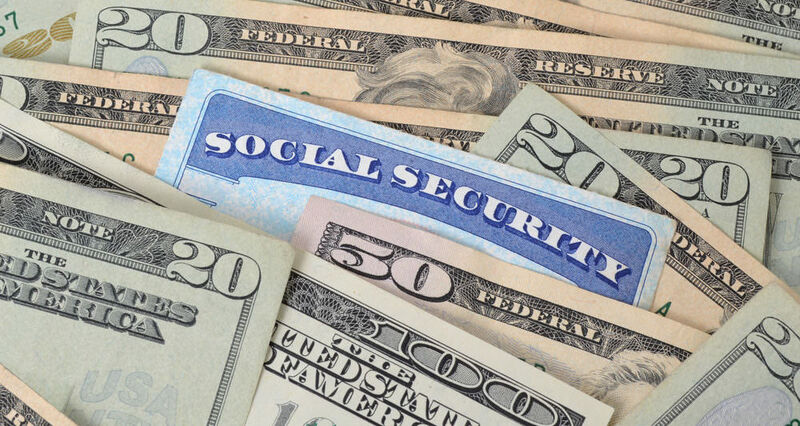 As of December 2008, the Social Security Administration (SSA) had issued over 450 million original SSNs, and nearly every legal resident of the United States had one. Both the employee and the employer pay 6.2 percent each. There is a limit to the amount to be paid yearly, but you need to be in the higher middle to high-income thresholds for that. The next important change in Social Security’s budget treatment came in 1985 with the passage that year of the Balanced Budget and Emergency Deficit Control Act of 1985. This law–informally known as Gramm-Rudman-Hollings provision. The importance of this provision was that when the federal budget exceeded the Gramm-Rudman targets, automatic across-the-board sequestration of spending kicked in. So including Social Security in the triggering calculations made the sequestration less likely (since the Trust Funds were running surpluses after 1983). So while the Social Security program was off-budget, and immune from sequestration or other generalized budget cuts, its surpluses were still being used to reduce the size of the budget deficit. As a result of changes to Social Security enacted in 1983, benefits are now expected to be payable in full on a timely basis until 2037, when the trust fund reserves are projected to become exhausted. At the point where the reserves are used up, continuing taxes are expected to be enough to pay 76 percent of scheduled benefits. At the point that excess funds are used up, the Congress will need to make changes to the scheduled benefits and revenue sources for the program in the future. The Social Security Board of Trustees project that changes equivalent to an immediate reduction in benefits of about 13 percent, or an immediate increase in the combined payroll tax rate from 12.4 percent to 14.4 percent, or some combination of these changes, would be sufficient to allow full payment of the scheduled benefits for the next 75 years. As we watch our parents and grandparents struggle with food, medicine, and shelter, should we not take the decrease completely off the table? Next, should we not look at offering a quick approach to fixing the current issue at hand. 20 years is not a long time, and if it is expected to have the younger be able to have a retirement fund, then it needs to be sustainable, worthwhile, and less costly than an increase to 7.2% for both employee and employer. There are some quick and easy answers, but then the longer range answers need to be worked on. We need to care for our defenseless, and elderly. We owe them that for their years of life, love, and goodness of heart.